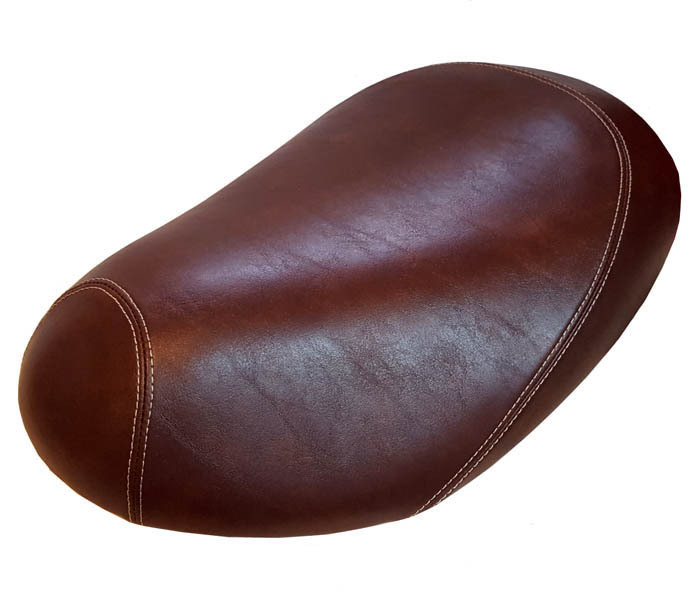 This distressed whiskey seat cover will give your Honda Metropolitan scooter an upscale, classic look. Our distressed whiskey has a rich shine, texture and depth of color like real leather, but with none of the upkeep issues. 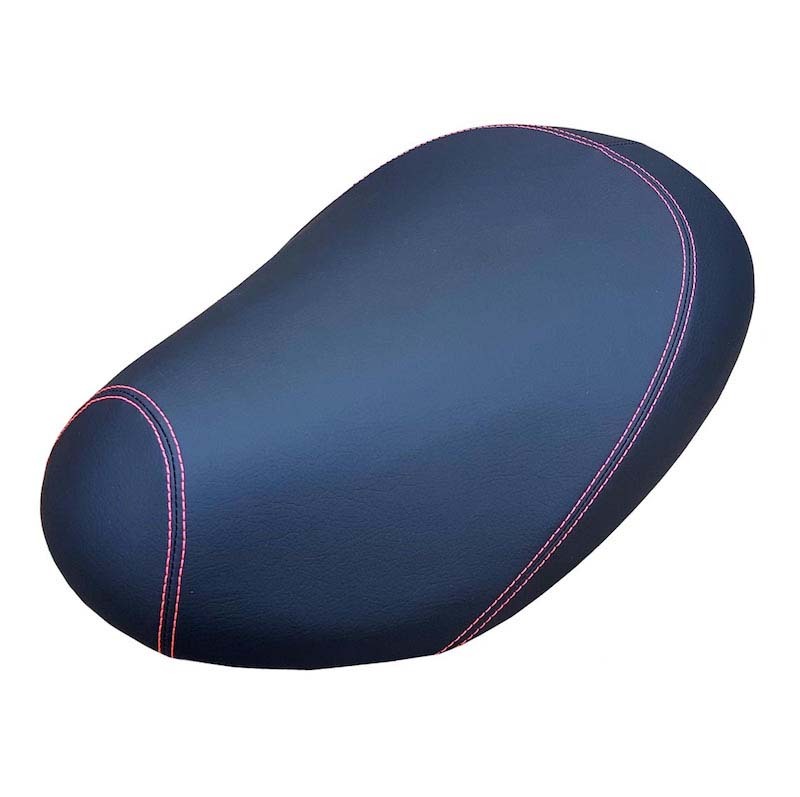 Waterproof and UV stable, this seat cover gives you a classic look with modern, high performance materials. Our seat covers are made by hand, to order, with our distressed whiskey seat cover, we have used beautiful french seams with contrasting beige thread to add that elegant touch of hand tailoring. 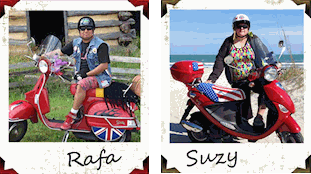 As with all of our Honda Metropolitan seat covers, this item is fully customizable. If you would like a different material, color, stitching etc, just let us know! Our seat covers do not require staples or complicated installation. They are ready to install with no tools needed, and you can remove the cover whenever you like. 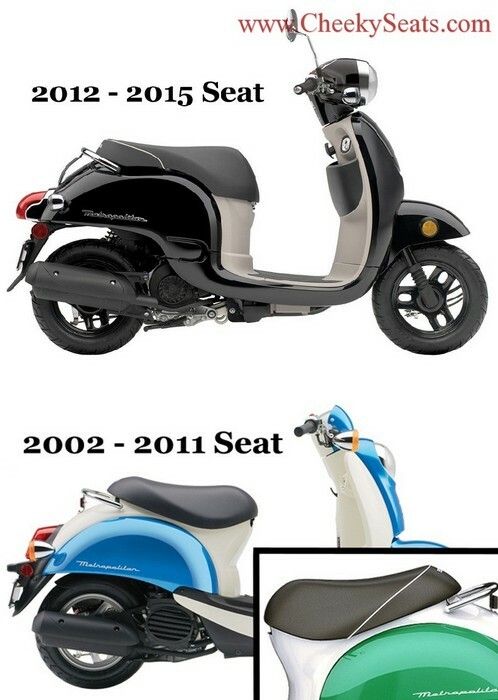 You may attach the seat covers with staples if you wish, but we tailor our seat covers wtih a beautiful fit and finish. People will think you had your seat upholstered.